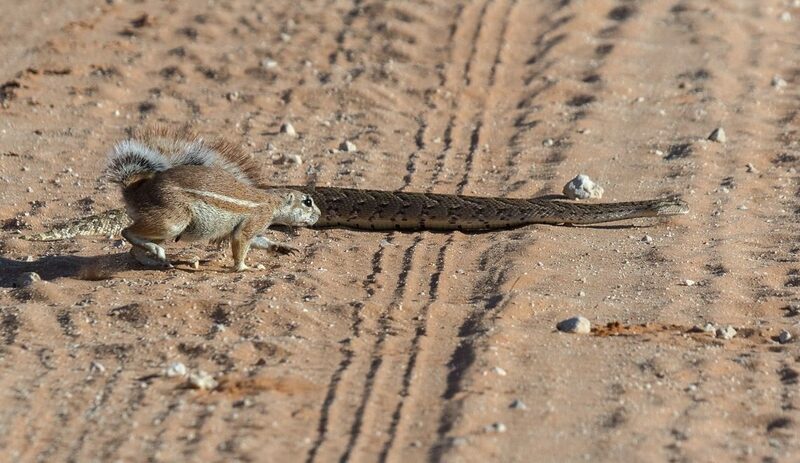 If you’re dreaming of seeing the speediest mammal on Earth, there’s no better place than the Kgalagadi. Along the Auob Riverbed, sightings are practically guaranteed. 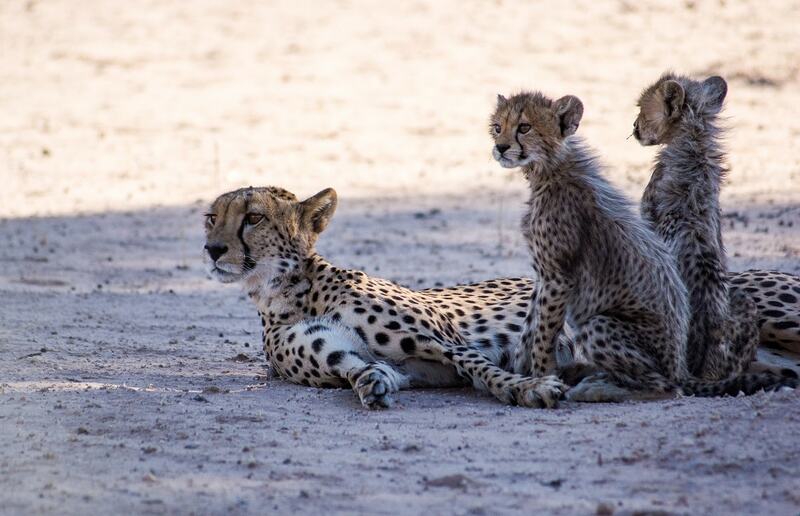 That proved to be the case for one Wild traveller, who was over the moon when he came across not only a female cheetah, but also two cubs. And with a mere four metres between cheetahs and Kgalagadi visitor, Umar managed to take some intimate pictures of the unforgettable moment. 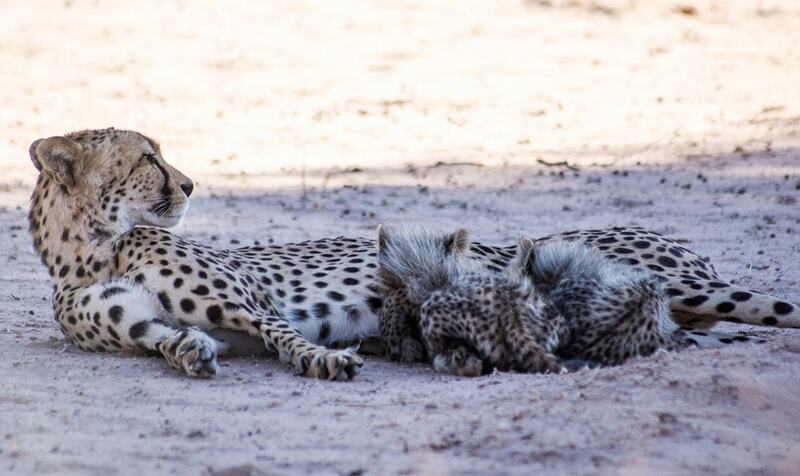 The female was resting in the shade and her two cubs were nursing. 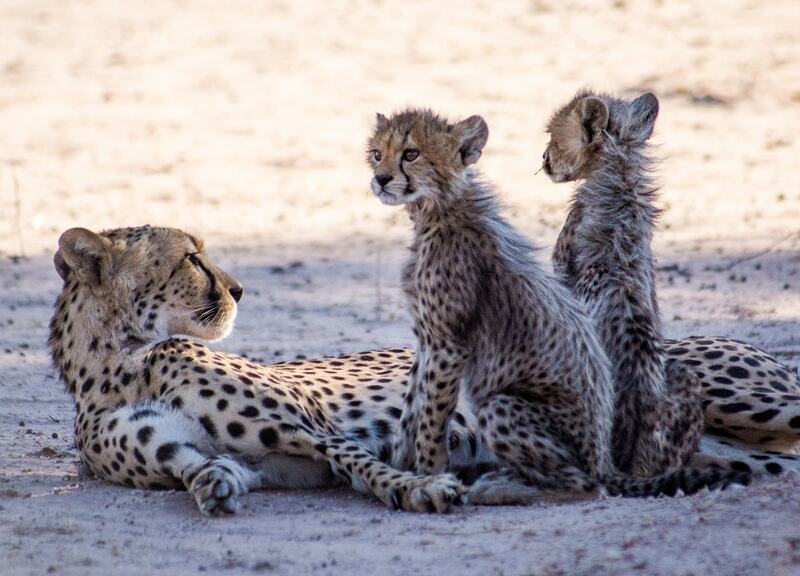 Cheetah cubs are dependent on their mother for survival until they reach independence at a year and a half. The little ones are not only at risk from predators; getting enough to eat is a real challenge. Cubs nurse for around four months, but from the age of eight weeks or so their mother will introduce them to meat. They follow mom on the hunt when they are several months old and she will even release live prey so the youngsters can practise. 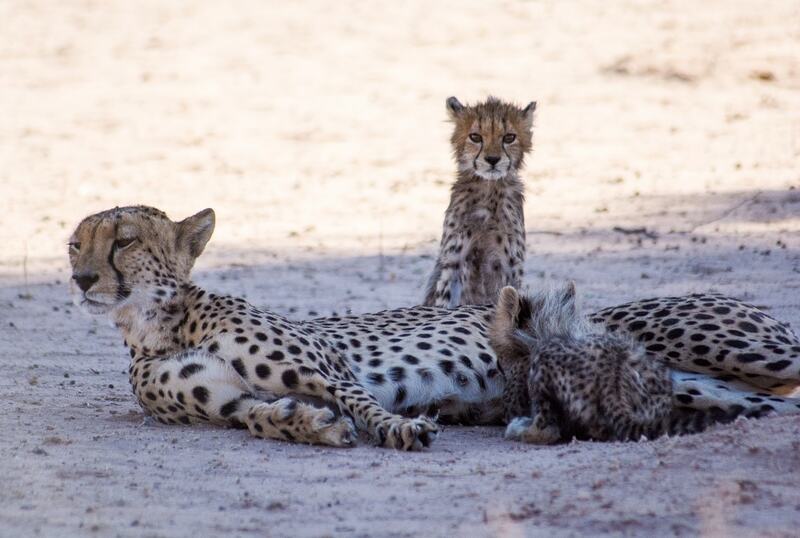 Want to see two cheetahs and their youngsters on a hunt? Check out this hair-raising photo sequence by Wild fan Sandra Grobler. Source: Smithers’ Mammals of Southern Africa. 2012. Struik Nature. pleas forward these email to me. Thank you for sharing. What a wonderful experience on your first visit. 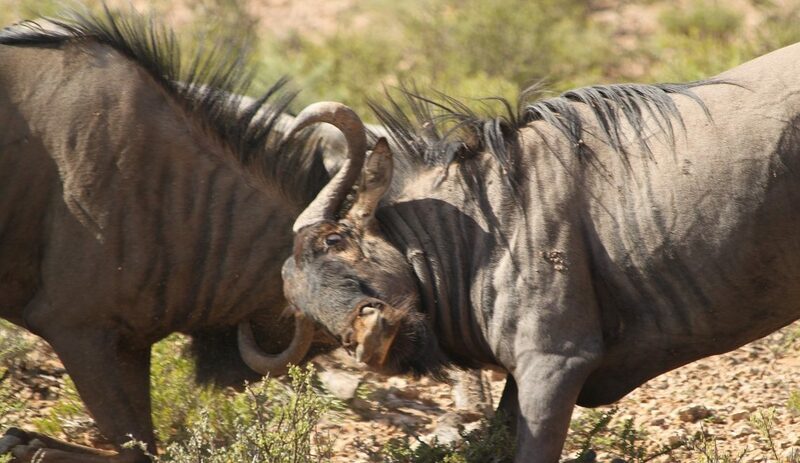 Kgalagadi is also our first choice of Game Parks. Barry & Jeanette Burger, East London. S.A.
Could have been the same little family we saw just south of Mata Mata early in January. What a wonderful experience. Unfortunately we weren’t so lucky, when we visited the park in August 2017. But nevertheless, we fully enjoyed our stay. Thank you for sharing such a special sighting. It looks like a photographer’s paradise as it is uncluttered and the shots are clear. Definitely on my wish list. Unfortunately we were not so lucky on our first trip to Kgalagadi in May 2017 – no big cat sightings at all.Reluctant to return ivo distance from JHB. Just to drive to kgalagadi ex johannesburg is n fantastic experience seeing the bird nests on the electic/ telephone poles, the bushveld scenary,the red sand , the donkeys, the bushmen people,the sky and a few clouds and the feeling that this is my country !!!! !